Rural house (full rental), 2 Bedrooms, 2 Bathrooms, living room with sofa bed. 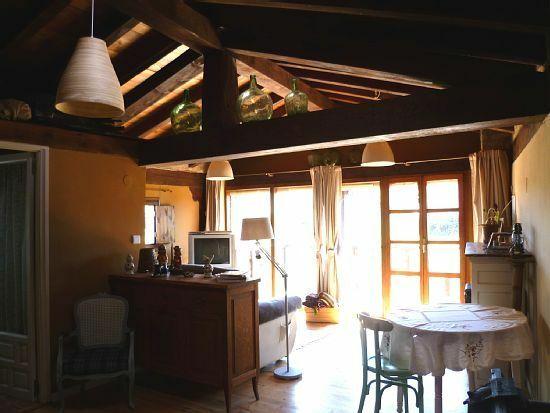 House of 2 floors with rustic and romantic decoration, with details of antique objects, craftsmen and recycled furniture. wood stove. House located next to the eras, land where grain was threshed and thrown the grain. With stunning views of the mountains and 5 minutes walk from a spectacular viewpoint to the river Leza canyon (reserve of the biosphere and home to a large colony of griffon vultures and Egyptian vultures) and also to the valley of the old man.